Brands are uncertain about ROI from video content, and they are also put off by the cost of creating video content for their marketing purposes. But statistics show that this tool must be included in the Video Marketing in 2019 strategy of all the businesses as consumers retain more information via the video compared to what they keep from the text. The attention span of people is reducing, and people and they now prefer watching a video for two minutes than to read an article of more than one thousand words. Introduction of more and more products in the market and more and more advertisements are creating a demand for consumer attention. Expert advice the brands not to treat all video platforms equal. For brands with small budgets for video marketing, Snapchat and Instagram stories are apt. Those with bigger budgets can use Facebook or YouTube for their video strategy. Statistics reveal that businesses that use video have more website conversion rates. Another fact that can convince the brands to use video in their marketing strategy is that more than seventy percent of the internet traffic is coming from video and this is going to further increase in the coming years. Why is video important for marketing? It is important because it catches the attention of people and people tend to watch videos of products before they buy any of the products. The buying decisions of the consumers are mostly affected by video. Brands realize that if footage not included in the marketing strategy, then they are going to lose all the views and attention. Those who did not realize will embrace the idea soon. Video marketing has become a powerful tool, and it is not slowing down. Marketers are using more and more new technologies such as live streaming and virtual reality. Video marketing trends are expected to change significantly in the come year. Like the way the businesses create the video content changes, the way consumers are going to consume the content is also going to change. Project mapping is going to be the new video marketing trend in the coming years. Also known as the augmented spatial reality. Real life objects can bring to life with this technology, and the effect it creates is theatrical. This technique can use for product launches, industry conferences, and opening events. Live Video Streaming is now accessible and is being used by any marketer. This is one of the efficient way to connect with the customers. Live Video Streaming mostly used for interviews, behind the scenes video, live events and question, and answers. Several tools such as Facebook live, BeLive, OBS Studio and others are available now. The trend of using live video for marketing is going to be more intense in the coming year. Virtual reality video marketing is one territory where companies with deep marketing budgets are entering. This technology requires the viewers to wear a pair of glasses to get immersed in the projected environment. This requires more motivation from the brands. Since only a few companies included this technology in their marketing strategy. It is too early to predict how it affects the marketing goal. But it is expected that usage of the medium is going to be expanded a lot in the coming year. Another immersive technology is 360 videos, and the utilization of brands is catching up slowly.The content can control the viewers. Videos created in 360-degree technology though not viewed as much as the standard video content, the click-through rates, views, shares are higher. This is going to become an essential tool for marketers to engage their consumers in 2019. Video mapping is nothing but making 3D projections on a flat surface without or with accompanying the sound. Video mapping offerers a powerful technique which used in experiential marketing. It is famous for brands among well known to the commercial and educational messaging. Personalized videos increase engagement on an audience, provides more customized invitation or experience to the users through a personalized message. Personalized video refereed to the single person conveying this is for your and tell something and mostly refers to the increasing click-through conversion rate. Square shaped videos changing the effects of all aspects of production and creativity of marketers. In Facebook News sections it increases the user engagement. This square shaped videos footage going viral and occupies 78% more space on Facebook.Horizontal videos fitted to phones, tablets and PC’s, more and more brands thinking step forwarded to converting directly to Vertical videos. Paid video ads, nowadays businesses moving to buy new sponsored video ads and using the influencer marketing. More brands are engaging with Facebook and YouTube to promote brands. Influencers on platforms like YouTube and Facebook boosts your brand’s awareness, to maximise the results you should think before investing in the paid ads. Social media statistics have proven that 100 million hours of video content is consumed every day through social media platforms. Facebook, Twitter, Periscope, Vimeo, Reddit, Instagram, and Youtube comes under social networking sites. Among all these platforms Facebook and YouTube stood top on consumption of video content. 82% of users watch videos on Twitter, 98% of users watch videos on Facebook and YouTube. 59% of brands advertise their videos and Images on Instagram. Vimeo is not YouTube some selected users use Vimeo for watching viral videos, 360-degree videos and engage with friends. Storytelling concept loved by every person in the Globe. Storytelling is explaining or bringing awareness, engaging and communicating with the customer throughout the video until the end. Video storytelling is the effective video campaign introduced by the marker for explaining their products. Storytelling videos can attract the new customers, increases web traffic, conversion rate. Mobile videos are trending now, and every user has a video camera in their pockets, So people can shoot anything at anytime and post on social media anywhere in the World. Mobile videos viewing has raised three times more on a desktop. More people watch 360-degree videos and viral videos through Facebook and YouTube. Anyone can share their experience through sharing their videos. Video marketing is already consequencing the digital world. Video marketing is leading to digital advertising and the personal use. 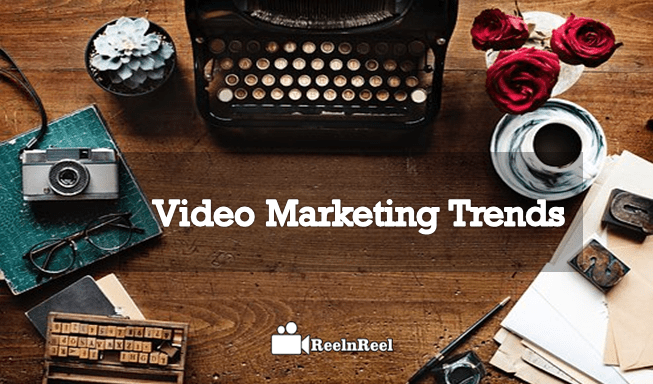 Here are the top video marketing trends of 2019 that are going rule the Digital world.